Get Ready For A 5 Day Pleasure At One Of The Wonder Destinations Of The World. This Beautiful Oriental Dream Never Stops With The Lush And Paradise, Because Of Which You Will Never Get Bored. 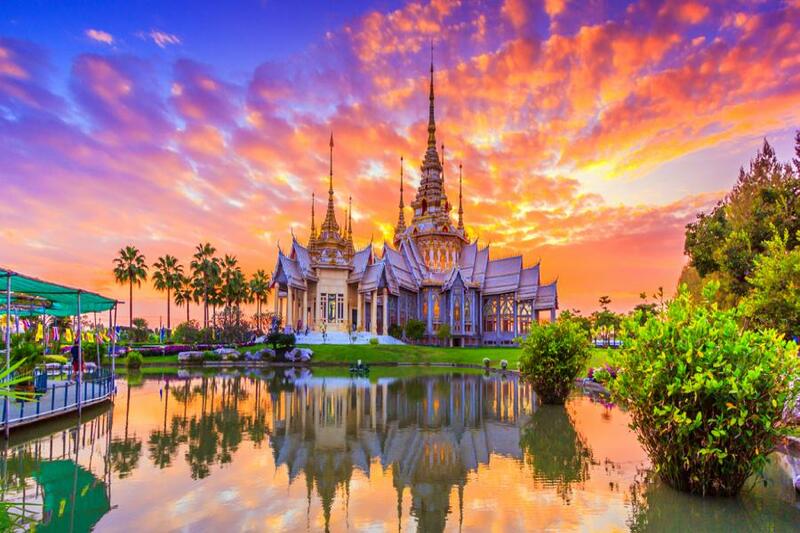 So, Let's Put You On A Plane To Bangkok Drive You To The Pattaya's Sunny Beaches, Coral Island Tour And Then Enjoy City Tour At Bangkok Where You Get All Rejuvenated. With More To Exercise Being Your Companion In This Graceful Trip Of A Longer Period Where The Joy And Charm Never Stops. After Breakfast In The Morning At Hotel, You Will Be Picked Up For A Speedboat Ride To The Coral Island. Upon Arrival You Will Be Treated To A Spectacular View Of The Island's Coral Reef On Board A Glass Bottom Boat. After Delicious Indian Lunch You Will Be Transferred To The Hotel. Overnight At The Hotel In Pattaya. Enjoy Breakfast At The Hotel And Then Pick Up From The Hotel Lobby To Proceed For Bangkok. Today Enjoy Half Day City & Temple Tour Of Bangkok, Resplendent In All Of Its Fascinating Culture! Overnight At Your Hotel In Bangkok. Enjoy Breakfast At The Hotel. The Rest Of The Day Is For Shopping / Optional Tours. Overnight At Hotel.